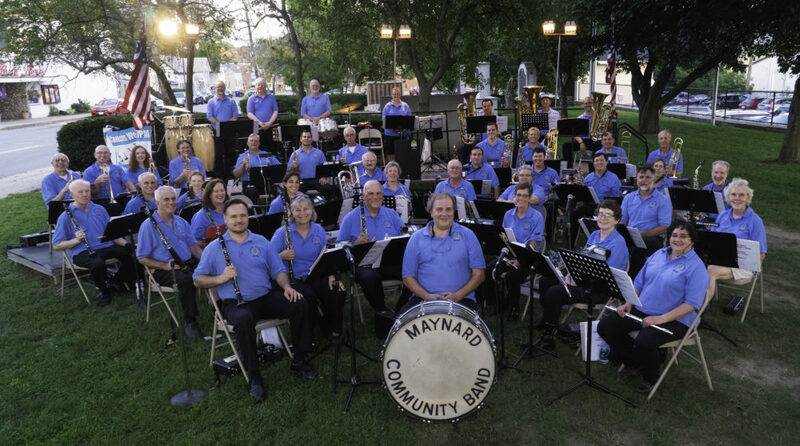 Directions to Veteran’s Memorial Park, Maynard MA | the "MAYNARD COMMUNITY BAND"
The Maynard Community Band performs free concerts on Wednesday nights at 7:00 during the summer time in Veterans Memorial Park in downtown Maynard, MA (weather permitting). Check the performance events schedule to confirm dates and times upcoming concerts. Bring a blanket or folding chairs to enjoy the performance on the lawn. Plenty of parking is available in the surrounding municipal lots, as well as street parking on the surrounding streets.